I need help with my backyard / outdoor space. I want this to be a surprise for my wife. The space that needs to be designed is approximately 12' x 10'. It's part of a larger rectangular space within an area of my backyard behind the pool. Although I don't need the entire area behind the pool to be designed, I would like ideas for thinking about paths to accesses this seating area. I'm interested in this smaller space functioning like a little room. I want it to feel like a space seperate from the rest of the area. I'm interested in some sort of seating area + a fire pit. 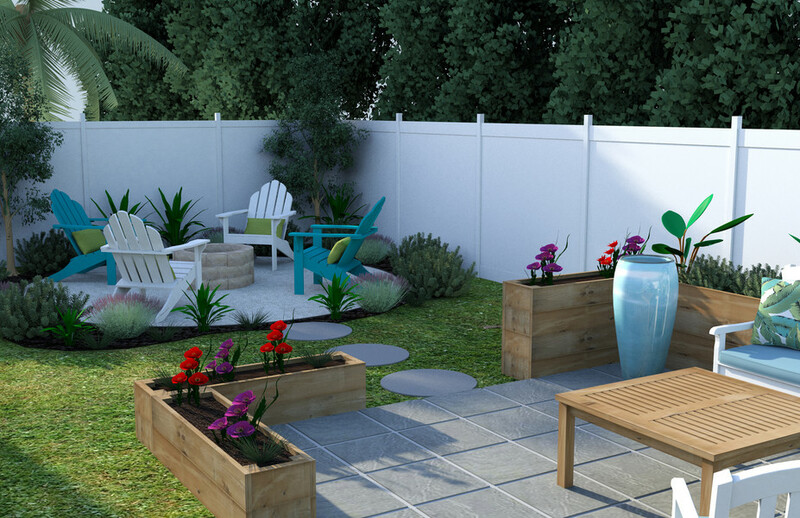 I'm a pretty handy DIYer so I can build things like benches + planters if it allows me to maximize my budget. Although there aren't electric outlets accessible here now, I'm open to running conduit to add in lights. Hi Rachel, This is fantastic! looking forward to working with you again on the next space. Thanks! Since your space gets plenty of sunlight your color options are quite broad for exterior decorating. 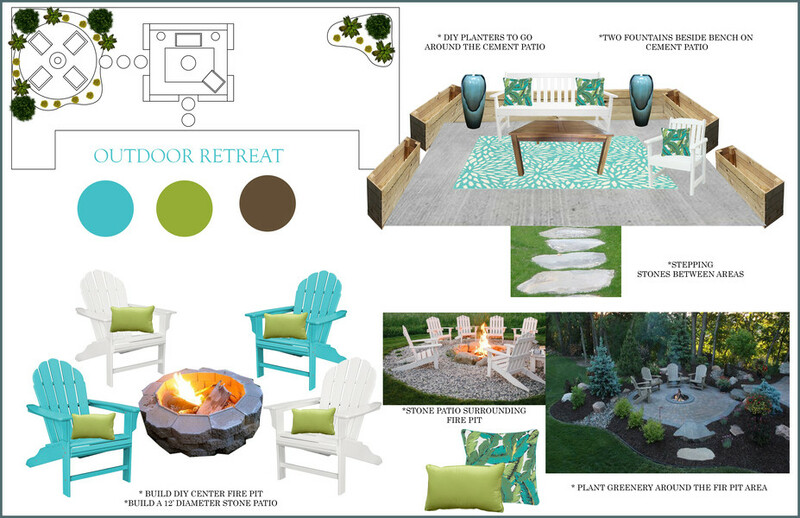 For the main color palette we used bright and inviting colors to enhance the beauty of this outdoor space. Bright pops of blue and green really compliment the outdoor furniture!